Music On announces a triple threat across an entire weekend, including the official Privilege closing party. Music On is always a party that goes above and beyond the call of duty when it comes to closing parties. In 2018 it goes bigger and better than ever before, with no less than three events spread across three different venues. Mark down 5 to 7 October - this is going to be huge. 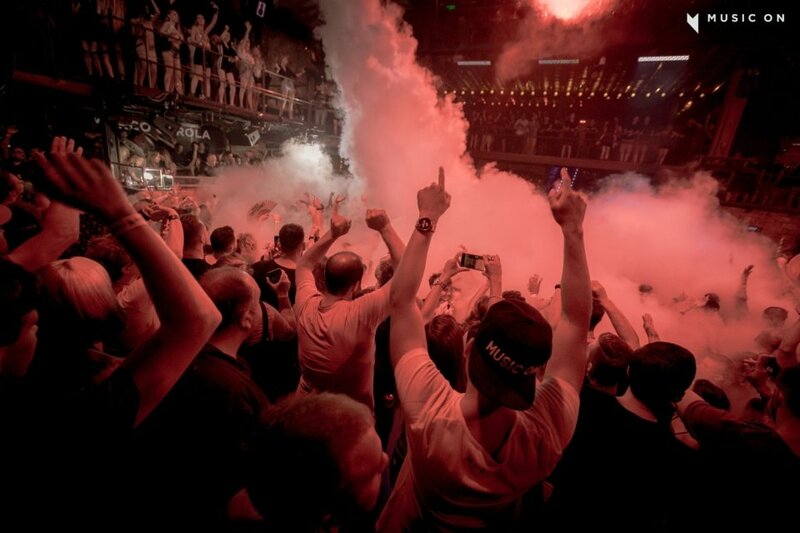 Marco Carola and his band of disciples certainly know a thing or two about putting the hours in. Day or night, marathons sets are never off the cards. In the previous two years, we've seen them occupy both the Friday and Saturday night slot at Amnesia for a bumper goodbye weekend. Always one to keep us on our toes, this year is slightly different still. Music On says goodbye to its Friday night 2018 Amnesia residency on the previously announced Friday 5 October. No change of schedule to advise there: Lauren Lane still joins Carola on the Terrace while Stacey Pullen and Leon look after the club room. Seismic announcement number one is that the following day on Saturday 6 October, Music On crosses the road to San Rafael's other super-club. The party takes over Privilege for the venue's own closing party. We can only imagine the scenes when Carola is let loose in that cavernous Main Room. It's going to be a clubbing memory for the ages. Thirdly, we are in for a daytime partying treat as Music On rounds off its 2018 plans at Blue Marlin on Sunday 7 October. Again, this will be the closing party for the venue itself - and truly one not to be missed. Details of these two additional events are few and far between at present, but what we can say with some certainty is that Marco Carola will be leading proceedings at both. No doubt he'll be accompanied by some of techno's finest, as well as his legion of fans. Party from Friday all the way through to 00:01 on Monday morning with Music On. Three days of non-stop parties from the Italian stronghold. As always, admission to Blue Marlin is completely free - though we anticipate it being very busy. Tickets for both Friday's and Saturday's leg are both on sale now. See below for further details.